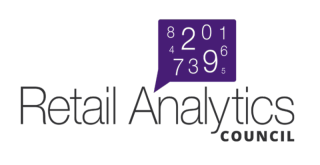 The Retail Analytics Council will present "Using Analytics to Develop Customer-Driven Retail Solutions" on June 10 and 11, at Northwestern University in Evanston, Illinois. Registration is open for this executive development program, which will bring together leading researchers and retail executives to discuss current best practices, use of new research tools, global trends, and the future of retailing. Discuss the most current academic research and professional best practices. Interact with retail analytic researchers and thought leaders from around the world. Set and shape the direction for research, and discuss research needs in the marketplace. Learn from leading experts in the field about retail analytics in an omni-channel environment. The agenda, a list of speakers, and their topics is available on the Retail Analytics Council website. The deadline to receive the RAC discount at the Hilton Orrington Hotel is May 13.